July 25, 2014, Montreal, QC—Effigis Geo-Solutions Inc. is proud to announce that it has been selected to carry out the inspection of 11,000 wood poles for Hydro-Jonquière (Quebec, Canada). 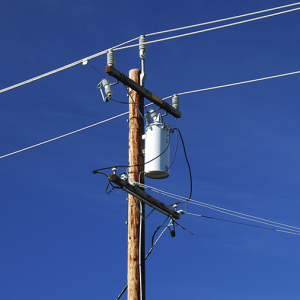 Although Effigis is the largest provider of pole inspection services for crown corporations in Quebec, this mandate represents the company’s first incursion into the municipal sector for this specific service. Wood poles are inspected using a mobile solution designed and developed by Effigis. Equipped with a GPS receiver and fully based on a mobile geographic information system (GIS), this solution was created in accordance with industry standards and CSA standards. This approach enables inspection results to be transferred with a GPS position directly into the clients’ corporate systems. The inspection contract with Hydro-Jonquière shall take place over more than six months, and will involve a team of six field survey technicians. These professional, experienced workers are specially trained for this type of project. This process is in line with Effigis’ involvement in managing assets of exterior networks. Effigis, a rapidly expanding Quebec firm established in Montreal in 1991, designs, develops and implements innovative geospatial solutions (GIS and infrastructure inventory, Earth observation services, telecommunications network monitoring, GNSS software, geological studies) by drawing upon expert resources, aimed at improving its customers’ business processes.